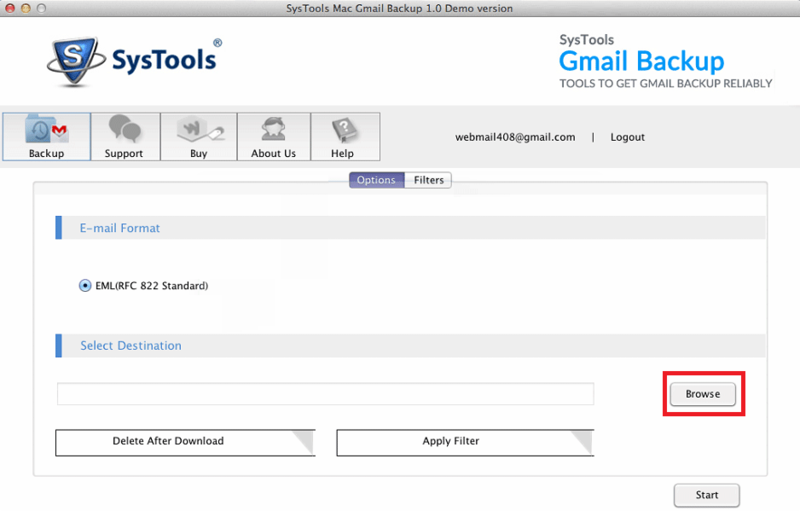 Launch the software click Start » All Program » Gmail Backup Software. Note: The Software is available in multiple languages such as English, Spanish, German, Portugese and Japanese. Henceforth, select the language as per your convenience. Choose your desired Language first. Then After, you need to log in to the tool by providing your account credentials and clicking on the Login button. Click on Accept while the Software ask for authentication. You will now automatically redirected to the software interface as authenticated users. Select Output Email Format: Choose a desired output file format from: EML, MBOX, MSG & PST File to store the email backup. Select Destination Location: Select a desired output destination location on your local machine where you would want to store the backup. Choose amongst the additional options i.e. Delete after Download and Apply Filter Option to be applied after completion of the backup process. 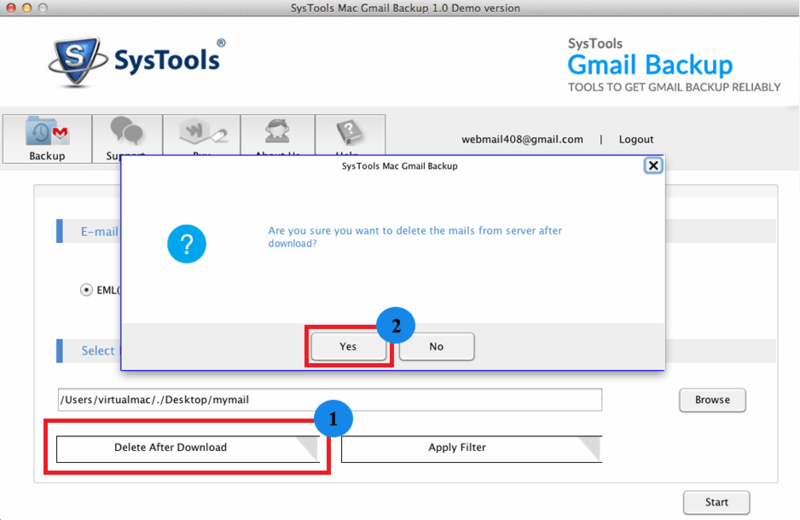 Delete After Download: This option helps you to delete the emails from server as soon as its backup has been completed. 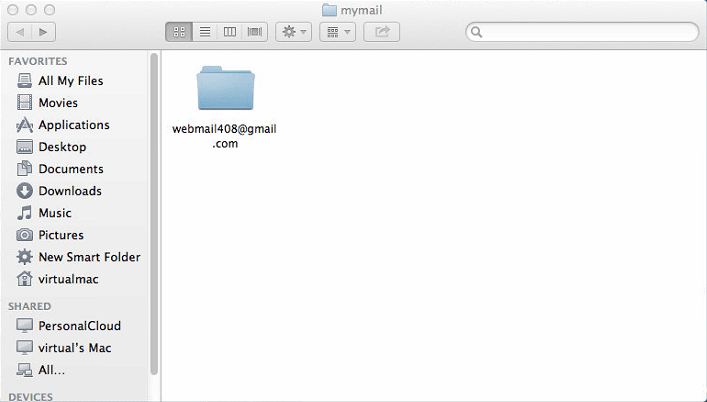 Apply Filter: It helps you to selectively download Gmail data for backup using predefined Filters. 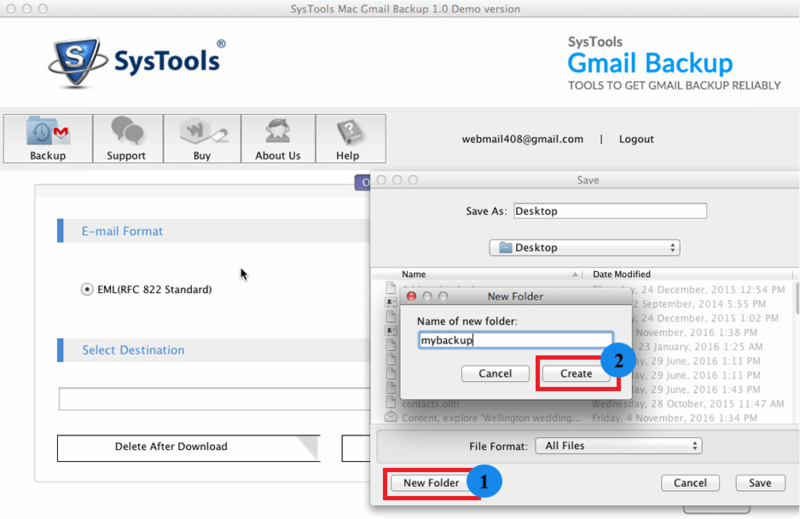 Select Folders: Choose the relevant folders from your Gmail account to be backed up. Specific Email filterTime Interval -Use this option to backup emails from a defined date range by mentioning From and To parameters. Internal Bandwidth- Specify the Internet Bandwidth to be consumed by the software for backup creation along with the specific unit in Kbps or Mbps. Time Slot Setting- Specify the Time Slot Settings to define the percentage of CPU usage dedicated to the software at a specific time range. Mention the From and To parameters to set the time range and Throttling (in percentage) for the software. Click on the Start button to initialize the backup process. The software displays the process with Counts, Rate, Progress, Current folder name, destination path and provides connection status respectively. Upon successful completion of the process, the software displays a message window stating �Download Completed Successfully�. Click OK to proceed further. The software returns to the previous screen displaying the process statistics with complete Counts, Destination path details respectively. 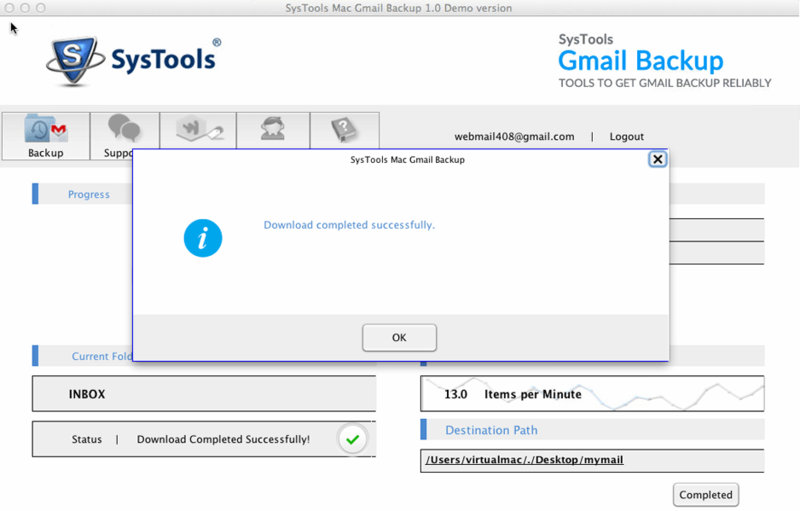 Navigate to the output destination location where the software has downloaded a local backup of your Gmail account data. Preview the Email data with its default email client. To open an Outlook PST file Open Outlook » File » Open » Outlook Data File and then select the file from its appropriate location. 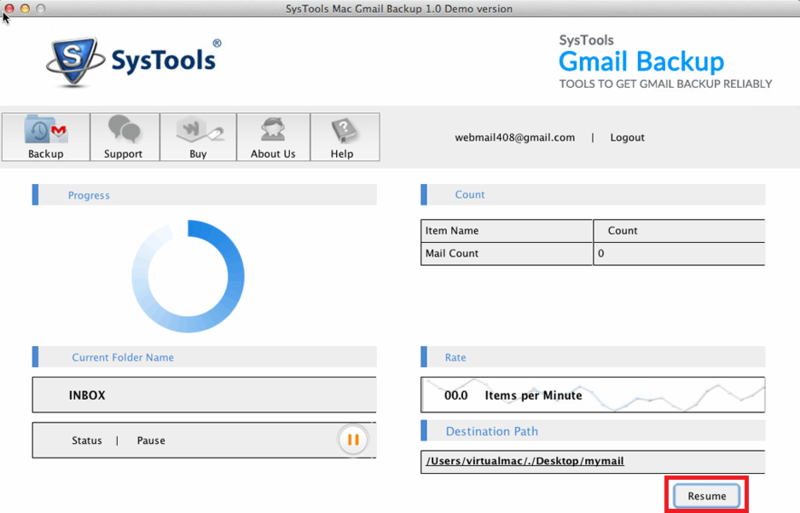 Preview the recently added PST file containing the backup of your Gmail account information. 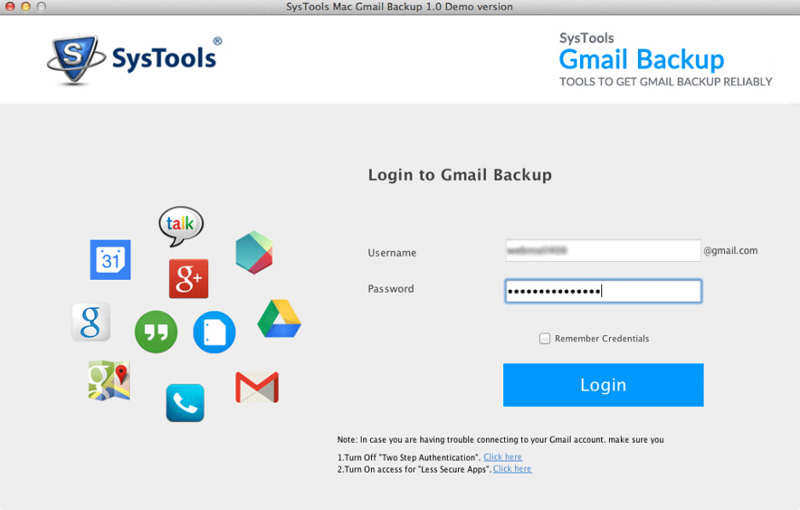 Launch mac gmail backup tool & Login with your Gmail credentials. Select the option to " Delete After Download " as per your choice. You will receive a pop-up screen after you select this option. 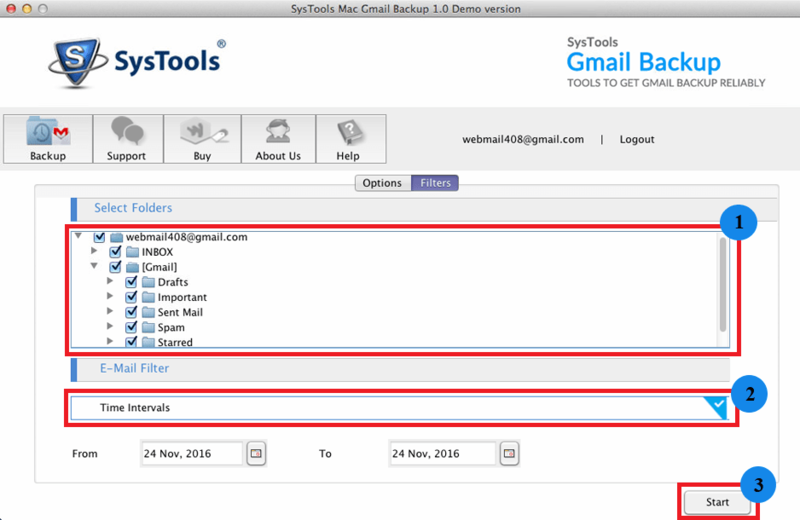 Select the Filters: Select the folders that you want to backup from your Gmail account, set the time interval & click on Start. The download process begins & you can see the status & progress of backup, current folder name, rate of download & items count..
You can Pause & Resume the backup process at any time. After the download is complete, you will receive a pop-up screen. Go to the destination folder to verify if the backup is complete.